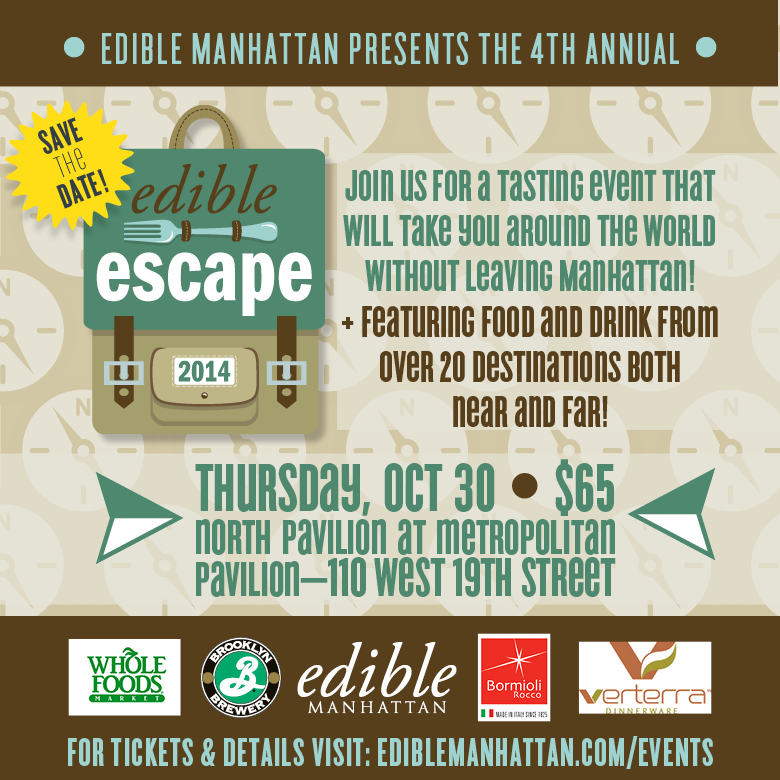 Go on an international culinary tour this Thursday, October 30th at the 4th annual Edible Escape. Enjoy a various dishes and drinks from around the world, from Spain, Austria, Italy and more, all under one roof. The event is designed to highlight both national and international travel destinations through food, drink and more. The event takes place from 6pm to 9pm at the Metropolitan Pavilion at 110 West 19th Street. Ticket information along with a list of participants can be found here.